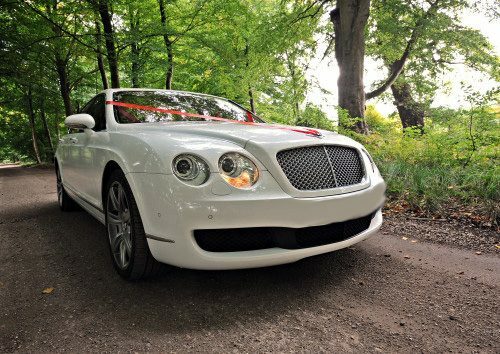 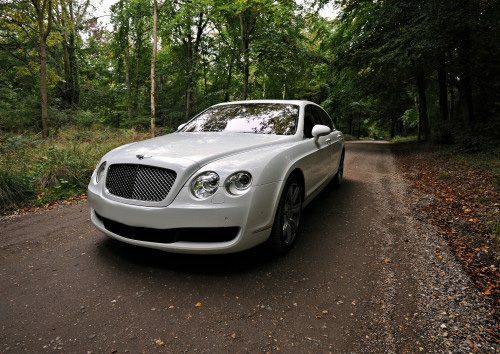 Wedding Car Hire in London. 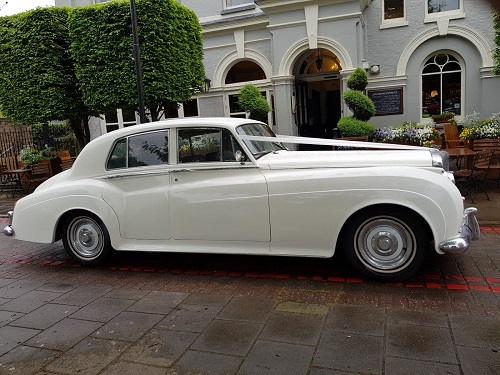 A big part of the overall wedding-wow-factor is the entrance – and we’re not just talking about the long, romantic walk down the aisle; not the splashing bridal gown and, the three-tier traditional cake. 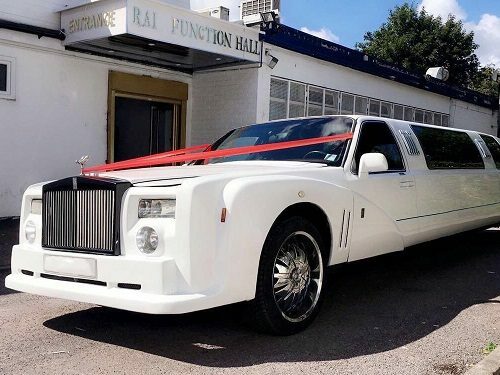 Once your guests have dabbed away their tears of joyful emotions, give them another incredible moment to remember; the newly-wed couple is driving off toward the sunset in a stunning wedding car! 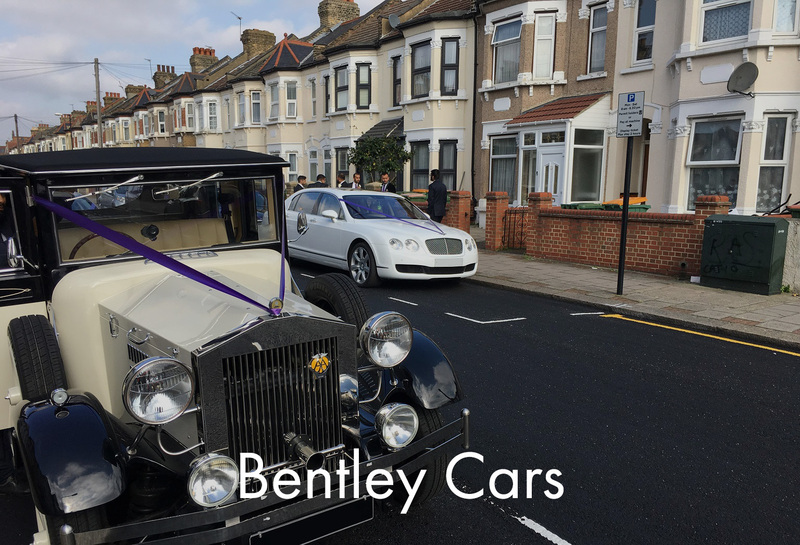 Roll up at your venue like a true celebrity and enjoy another special spotlight moment as you pose with your new, four-wheeled best friend for photographs which you will treasure for a lifetime. 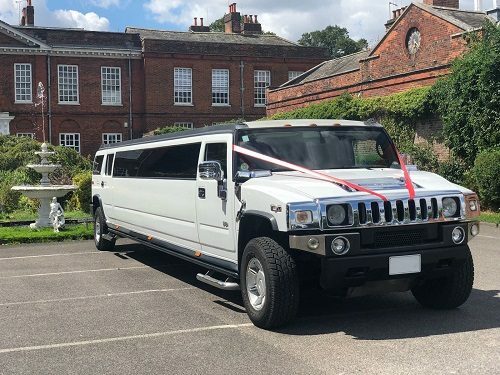 Our luxury fleet of Bentley, Beauford or Hummer Limo wedding transportation is a decoration feature all on its own, and we also decorate our vehicle with silk ribbons for that extra festive look. 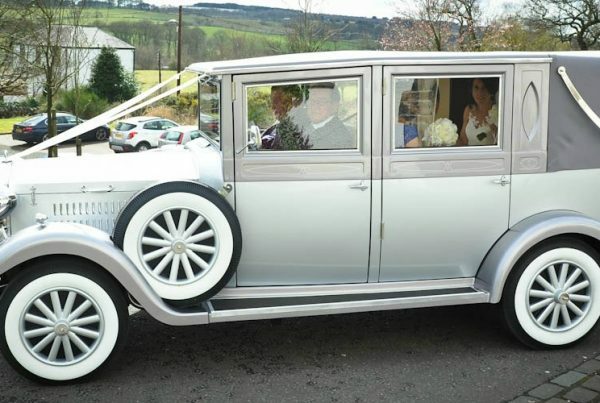 If you have colour specifications or style ideas, don’t hesitate to let us know – we’ll do everything possible to ensure the ribbon matches your wedding theme, dress/suit! 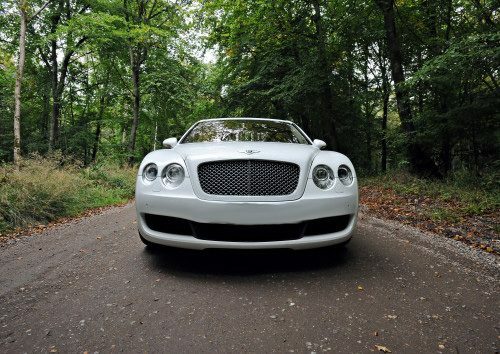 Our collection of pristine modern & classic wedding vehicles would be an excellent fit for your wedding day or prom night. 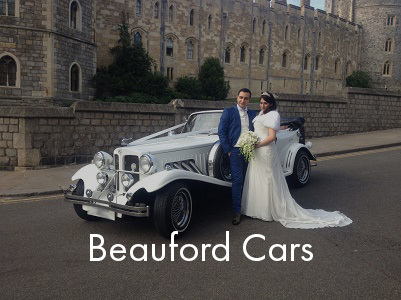 We keep our decadent cars in immaculate conditions be it our beautiful classic Beauford or a modern Hummer Limo, Custom Rolls Limo to ensure it will shine with you on your special days. 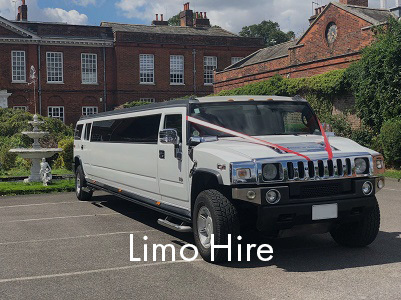 Enjoy a carefree day of pampering and getting ready without having to worry about your transport to the venue – we will take care of everything. 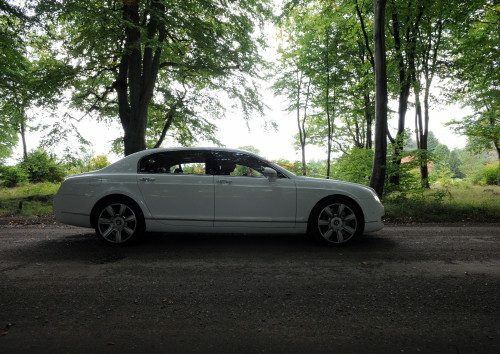 Our chauffeur will arrive before the agreed hour, leaving plenty of time for photo opportunities and last-minute makeup checks. 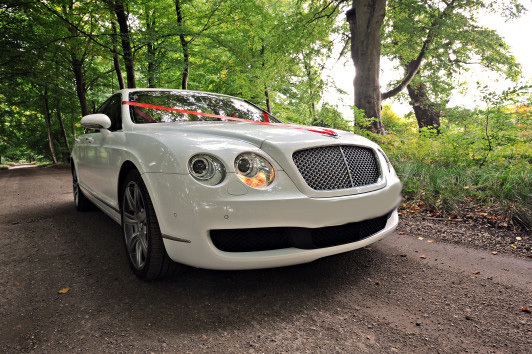 This is your day, and Love Wedding Car Hire a classic & modern wedding transportation agency will do everything to make it truly memorable. 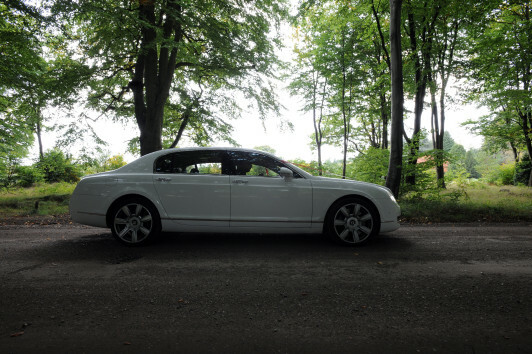 If there are any extras you would like to come along with your hired transportation, don’t hesitate to tell us. 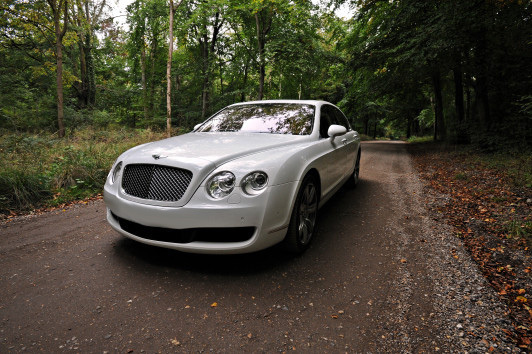 Having worked in the wedding industry for more than ten years, we have established a great working relationship with renowned wedding DJs, florists, caterers and equipment hire services, and can tailor a package to your personal needs. 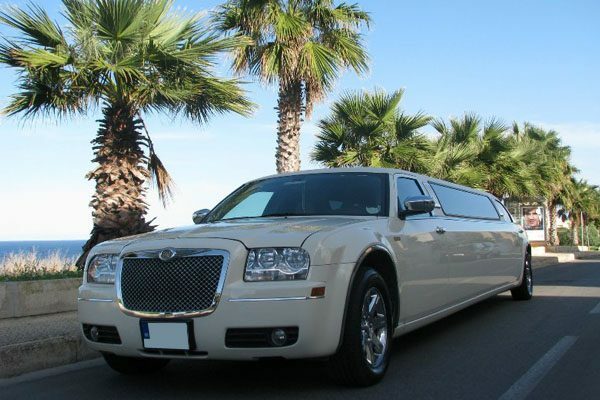 We look forward to helping you plan your perfect day. 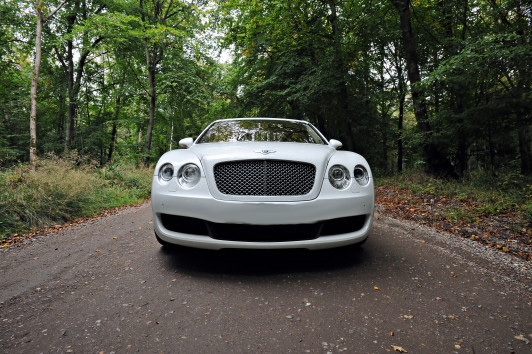 Contact Love Wedding Car Hire today and let us know about your requirements, and we will do everything possible to cater to your personal needs. 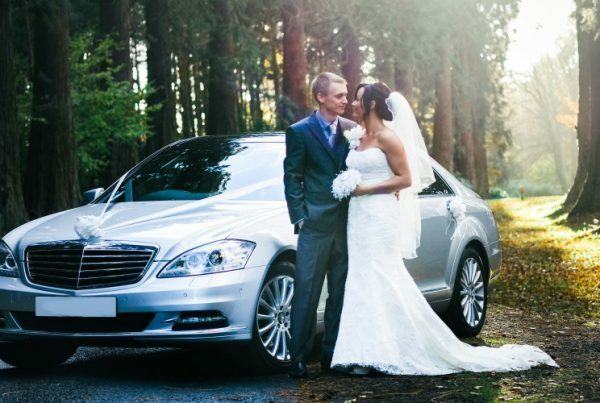 You’ll only get married once – make the very best of your special day by treating yourself to a beautiful ride to remember with our pristine range of classic & modern vehicles. 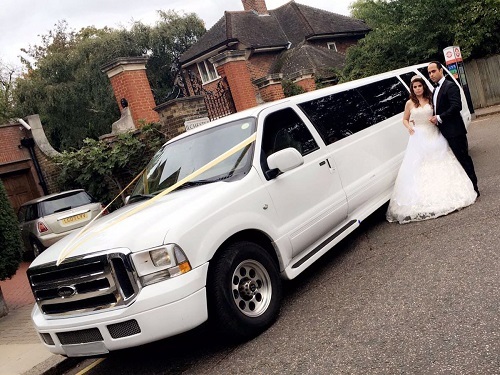 So book us for your wedding or prom today.